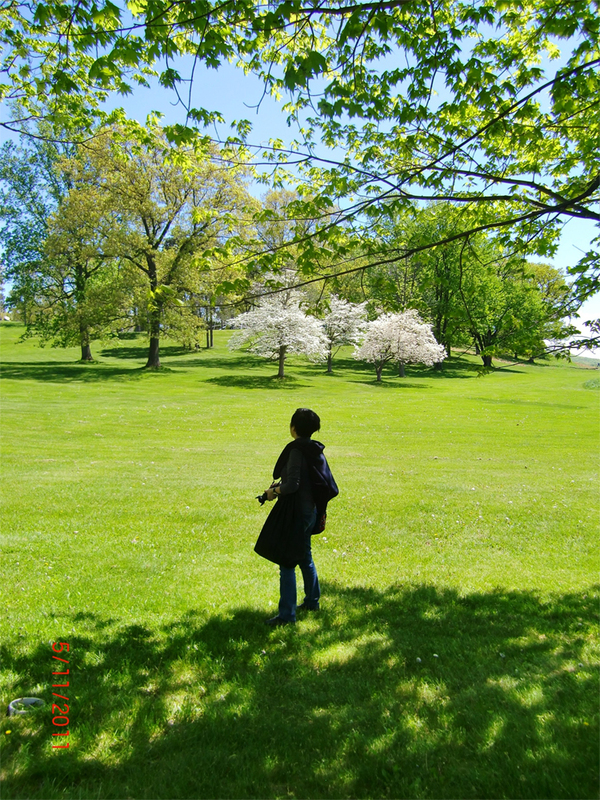 Last year I went to Storm King Museum, my all time favorite. That was my second time there. I went there first on 2010 during fall. I have decided to return to the installation part every year. I will be visiting it probably in October again when the leaves are yellow and red once more. These are 2 pics from last year. They are on my mind when I work. I love my mom! She is totally Harlequin&Lionhead! 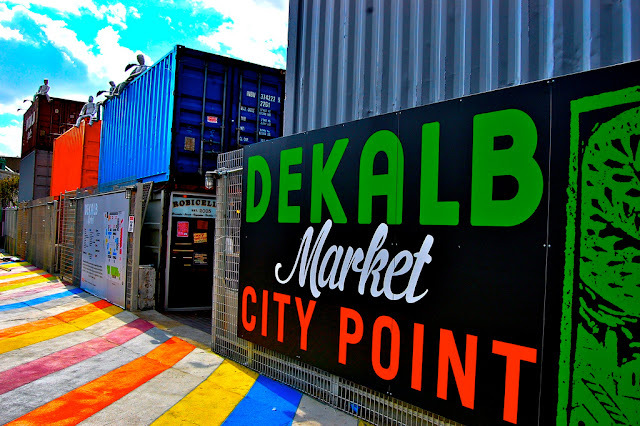 Dekalb Market I am back! I will be at this great gem of Brooklyn on Sat. Come say hi! Meet me on August 18 in Long Island! You may have read from my homepage that I will be at a very meaning event on August 18. It is a fundraiser event for animals in need of adoption and the kind people who take care of them in the interim. Forgotten Friends of Long Island was established in the spring of 2008 as a rescue organization that would help the neediest animals in our municipal shelters. Their mission statement was to reflect the belief that all lives should never be forgotten. The folks at the organization decided to rescue the animal that was continuously overlooked by others or the one in need of medical care. They constantly host adoption events. Check out their website here. 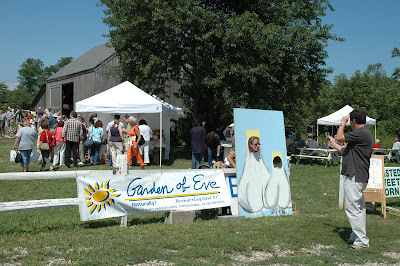 Garden of Eve kindly offers their space for this coming fundraiser. For more info regarding the organic produce, click here. For this special event, proceeds of all vendors' sales will help support the organization and their efforts. Harlequin&Lionhead and Bunnies Can Dream will be donating 20% of all sales. Bunnies Can Dream will bring some really cute animal silhouette pendant necklaces. See more here. It will be a great day for the fans of Harlequin&Lionhead because I will be bringing rose gold plated samples, available at the event for great discounted prices. There will be live music and great organic food. So come on and enjoy a lovely day with us! Last Sat, I was at the Crafts In Chelsea market on 21st St between 8th and 9th Ave. It is a bi-annual event that comes around every May and Oct. 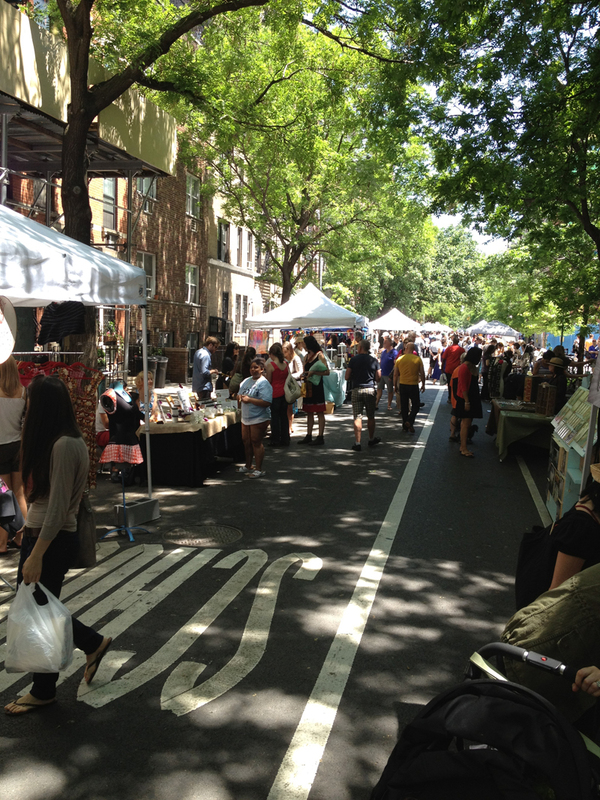 The lovely block was filled up with booths or tables of great handmade products. This event is organized by PS11 to support the school and local artists. This year it is managed by New York Etsy Team (a.k.a. theNewNew Etsy Team). If you are interested at participating as a seller, you can reach out to the school or the New York Etsy Team. I hope to be back again at this block in Oct.
You can see more pics of the event on my facebook page here. You have to fall in love with this little corner at the outskirt of the heart of fashion in Manhattan. 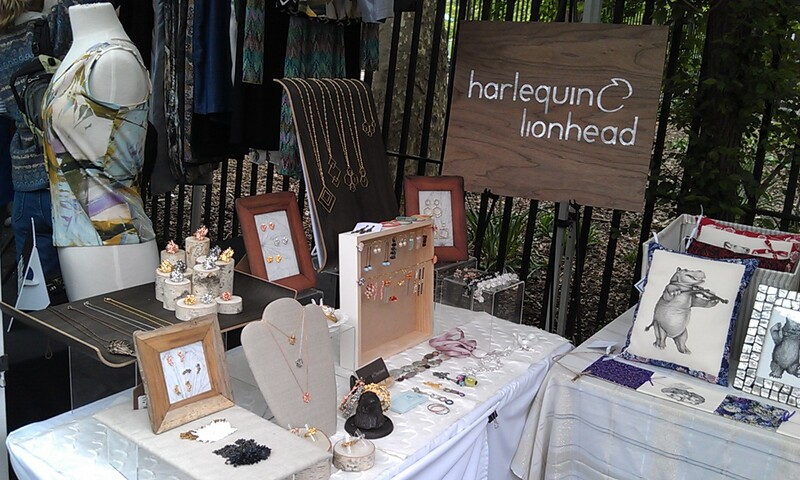 Great accessories, interesting fashion finds, and some yummiest cookies you can find in the city are all here. Hester Street Fair was taken into Henri Bendel last year and took over the 2/F for its vendors, while UNIQLO camped their mobile cube there for the fall. 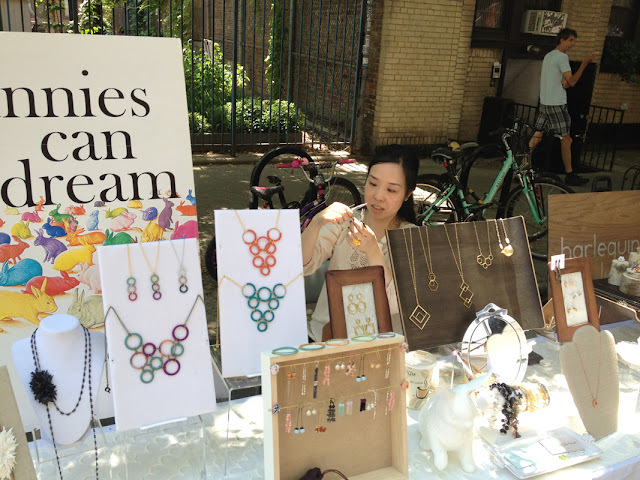 This past Sat when I was vending there (for the first time, though I've frequented this spot last year all the time as a shopper), Macy has a pop-up shop there - Bar III took Hester Street Fair as its first stop of their nationwide tour of America's best flea markets. 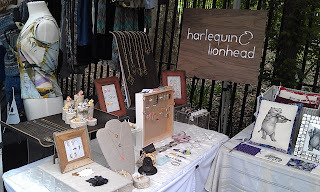 I will be featuring my Whirls and Rose collections there, at an exclusive Hester Street Fair discount. Selected products from my other shop, Bunnies Can Dream will be available too. Come check my table out. I will be sharing with the very talented Jessica Boehman of Hans-My-Hedgehog again this Sat. And she is debuting her new plush line with some new illustration prints. So don't miss it.